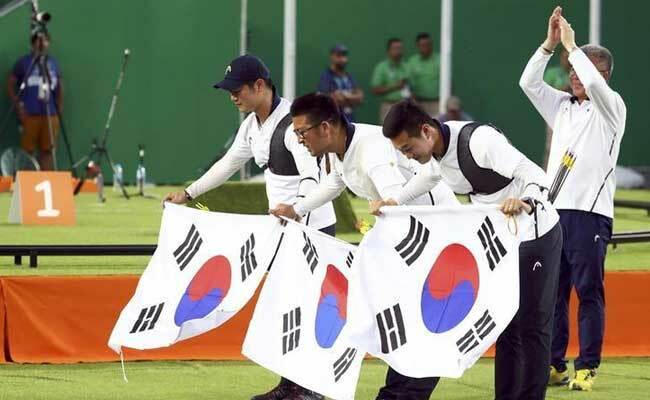 The long-standing Korean rivals agreed that Pyongyang's delegation could head south for next month's Olympics a formal talks in the demilitarized zone on their border. Washington, United States: Washington welcomed North Korea's invitation to South Korea's Winter Games on Tuesday, suggesting the outing could show Pyongyang what awaits if it agrees to give up nuclear weapons. The breakthrough, after months of diplomatic tension, could be seen as a blow for Washington's efforts to isolate Kim Jong-Un's regime and force it to surrender nuclear arms. But President Donald Trump's spokeswoman was careful to neither offend Washington's close ally South Korea nor give an inch in the US insistence that Kim agree to disarmament. "The North Korean participation is opportunity for the regime to see the value of ending international isolation by denuclearizing," Sarah Sanders told reporters. "We hope that we can continue to move forward on that front." The State Department gave a cautious welcome to the talks, hedged with concern that the slight thaw in ties between the historic foes would represent an opening for Kim's regime. "The United States remains in close consultations with ROK officials, who will ensure North Korean participation in the Winter Olympics does not violate the sanctions imposed by the UN Security Council over North Korea's unlawful nuclear and ballistic missile programs," spokeswoman Heather Nauert said. Officials said Trump spoke to his South Korean counterpart Moon Jae-In on January 4 and assured him the United States would send a team and high-level dignitaries to the games. "During the same conversation, the two leaders also agreed to continue the campaign of maximum pressure on North Korea toward the goal of complete and verifiable denuclearization of the Korean peninsula," Nauert said. Nauert had no comment on the news that Seoul and Pyongyang had also agreed at the talks to hold military talks and to restore a military hotline closed since February 2016. Under Secretary for Public Diplomacy and Public Affairs Steve Goldstein said that, while the US remains committed to ridding Korea of nuclear weapons, the talks could be positive. "We want denuclearization of the peninsula," he said. "This is a good first step in that process." Goldstein said the world should be "encouraged" that North Korea would participate in the Olympics. "We are pleased that the figure skaters who are participating and other athletes possibly are able to join the community of nations and compete. That is positive."